The November 2013 issue of the American Association of Neurological Surgeons’ (AANS) official socioeconomic publication, AANS Neurosurgeon, won two 2014 Eddie Digital Awards presented by Folio: Magazine. The Folio: Eddie and Ozzie Awards is the largest awards competition in magazine publishing, with the Eddies acknowledging editorial excellence. Out of 2,800 entries, 800 finalists were chosen in various categories, and the winners were announced on Dec. 11, 2014, in New York City. The winning issue of AANS Neurosurgeon, which addressed the theme, “Neurosurgeons and the Media,” was awarded two Eddie Digital Awards — Best Standalone Digital Magazine in the general B-to-B category, as well as Association/Non-Profit (B-to-B) — Standalone Digital Magazine — Less than 6 Issues. To read the award-winning issue, please click here. 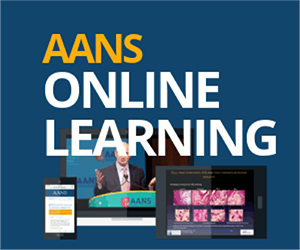 In addition, the September 2014 issue of AANS Neurosurgeon, which addressed the theme, “Neurosurgery Around the World,” received two Honorable Mentions from min — an industry authority for magazine media news and awards — in the categories of Digital Magazine and Email Newsletter at the 2015 min Best of the Web & Digital Awards. Congratulations to AANS Neurosurgeon Editor Michael Schulder, MD, FAANS, as well as the other members of the AANS Neurosurgeon Editorial Board on winning the prestigious awards and receiving the honorable mentions.